Veterans now have a leg up as they return to civilian life in Florida and consider their next career move. A new law in the Sunshine State allows a veteran's service years to count for experience requirements when applying for a contractor's license. The legislation will make it easier for veterans to start new businesses in Florida, where construction is on the upswing. It's also one of dozens of laws across the country that allow veterans to apply their military experience and skills toward requirements for credentials for civilian employment. Between 2013 and 2015, 39 states issued executive orders or passed legislation to help veterans transfer skills learned in the military to civilian employment, according to a U.S. Department of Labor report. Federal agencies also have launched initiatives to make it easier for veterans to acquire the necessary credentials and licensing. Some states even smooth the process for military spouses. As a result, as veterans move to the next phase in their careers, they can save valuable time and money — and quickly get back on the job. Understand how military experience correlates with civilian jobs. 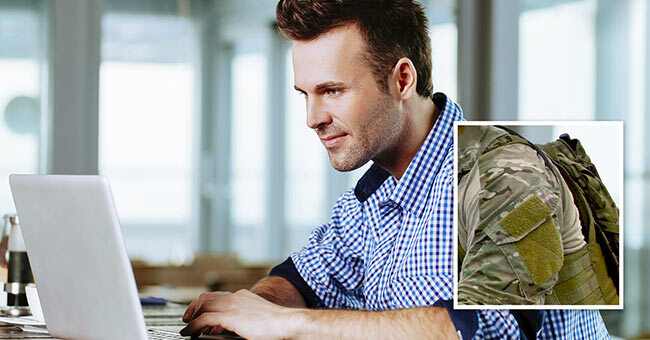 The DOL makes this easy, with three websites that help veterans translate their military experience into a civilian gig: O*NET OnLine, CareerOneStop, and My Next Move. On My Next Move, for instance, a Navy veteran who worked as an aerial cameraman would learn that he is likely qualified to work as a program director or public relations specialist. A radio operator in the Army likely has the qualifications to work as an operations research analyst or an electro-mechanical technician. Individual states also offer assistance to veterans. In North Carolina, a law requires that occupational licensing boards publish a document that details the requirements for licensure, registration and certification, and how they are met by military training or experience. Many states now have laws requiring professional licensing boards to waive requirements if veterans gained similar experience in the military. Some laws also highlight specific career interests such as firefighting, nursing and electrical work. In Texas, for instance, a law requires that the plumbing examiners board must credit relevant training and experience for education in plumbing. Opportunities do vary state by state. As veterans explore jobs based on their military experience, it's important they research the laws in the states where they live or where they could relocate. Set their business up for success right from the start. According to the Small Business Administration, veterans are 45 percent more likely to be self-employed than nonveterans. In fact, in the United States, there's one veteran-owned firm for every 10 veterans, according to the administration. Considering the hard work and discipline required for a successful career in the military, it's no surprise that veterans want to be their own bosses. For veterans looking to start businesses, incorporating (or forming a limited liability company) is an important early step because it allows owners to protect their personal assets, take advantage of tax breaks and bolster credibility as they seek new customers, government contracts and other opportunities to grow. Working with a professional registered agent can also help ensure that businesses stay on top of compliance rules and regulations as companies grow and change. Military service members are returning home with the training and experience required to become valuable members of the civilian workforce. These new laws can help ease that transition from active duty — and create the next generation of veteran workers and business owners.